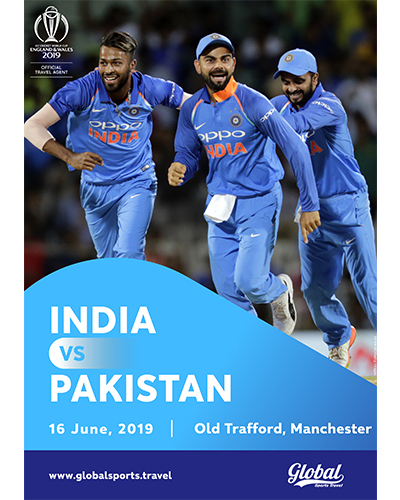 One of the most anticipated matches, neighbours India and Pakistan meet in Old Trafford, Greater Manchester, England. 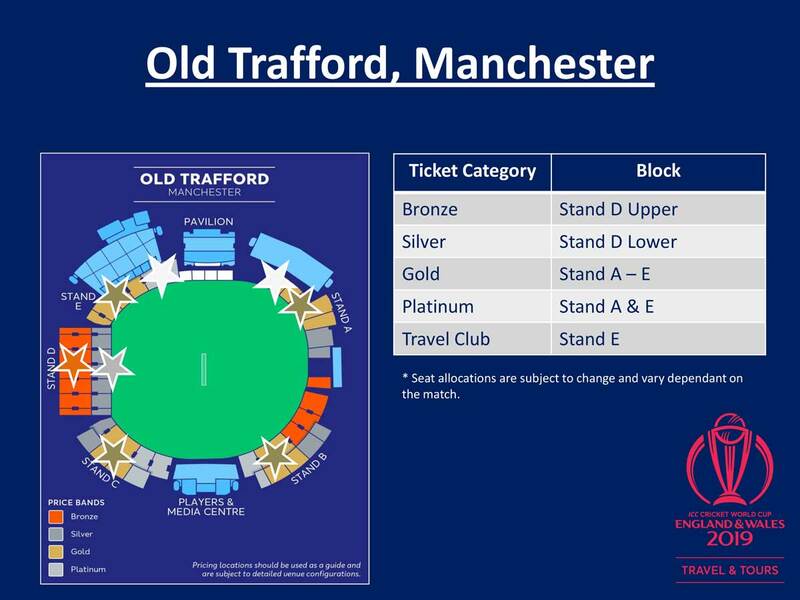 Old Trafford capacity is 26,000. The ticket included in the package is Silver. 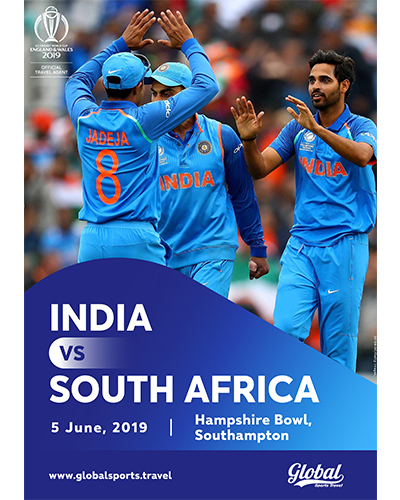 Subject to ICC’s tickets printing schedule, all tickets ordered as part of ICC Cricket World Cup 2019 packages prior to 15th March 2019 will be delivered by ICC to us in early May 2019. Tickets will then be sent to you by courier in mid-May 2019. 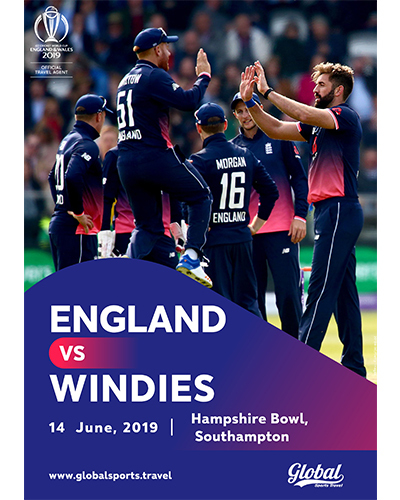 For all orders placed on or after 15th March 2019, the tickets will have to be picked up from our hotel in London one day prior to the match. Details of the pickup location will be sent to you closer to the date. Arrangements can be made to deliver these tickets to your hotel. An additional cost of GBP 49 will apply for us to deliver the tickets to your hotel. Arrive at your hotel – day at leisure. Today after lavish breakfast, head to Old Trafford Cricket Stadium to watch India v Pakistan game. Check out of your hotel this morning and make your own onward arrangements. No refund upon cancellation. Packages are non-transferrable. THE CLIENT IS STRONGLY URGED TO OBTAIN TRAVEL INSURANCE AT THE TIME OF MAKING THE BOOKING. Official Match Ticket (Silver) for India Vs Pakistan match.  Global Sports Travel And Tours Pty Ltd is an Officially appointed Travel Agent for ICC Cricket World Cup 2019. A number of different travel packages for all the matches in England and Wales are now available, and fans are encouraged to regularly visit the www.GlobalSports.Travel to check the latest deals and offers. Want to get closer to the action? 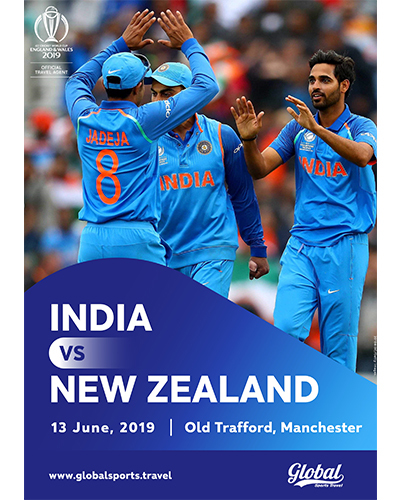 As an Official Travel Agent for ICC Cricket World Cup 2019, Global Sports Travel offers following travel packages inclusions exclusively for cricket fans looking for unique and exciting experiences. Click on the packages to find out more and contact us to reserve your place. Get behind the scenes at some of the world’s top cricket stadiums. This package is exclusive to the ICC Travel & Tours programme and will take you around unique areas of the stadium as well as allowing you onto the pitch for photographs and giving you access to view the practice nets*. On these tours you will learn what it takes to put on an international cricket match and will gain a real insight into those exclusive areas of the stadium never usually accessible to the public. Just a day ahead of the match, you may even see your team step onto the field for their last minute practice session. 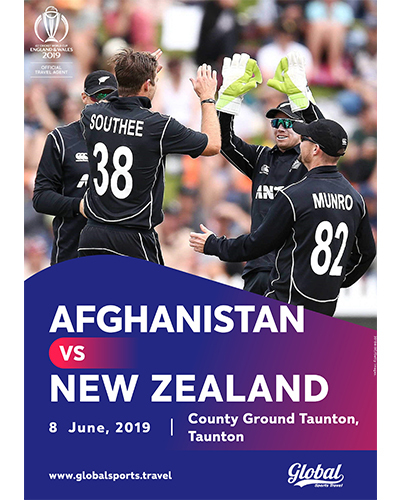 Enjoy exquisite dining, convivial hospitality and live entertainment with cricketing legends the night before the big match in the official CWC room. There will be competitions with signed memorabilia on offer and high-profile speakers will add to the excitement of the occasion as we prepare for the forthcoming match day drama. The next day you will take your places and enjoy fantastic views across the field of play from your official match ticket seats. The ICC Travel Club provides an exclusive comfortable space located within the stadium for you and your guests to relax in throughout the day’s cricket action. The business lounge style of the Travel Club has a private bar and will showcase the Cricket World Cup Trophy at published times*. You will also enjoy easy direct access to your official match seat as well as attentive, personal service from the hosting staff on hand throughout the match to make sure your day is one to remember. 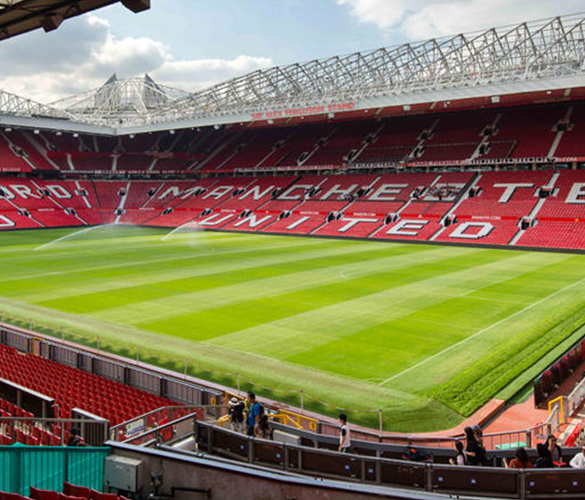 Go behind the scenes at Old Trafford and see the stadium through the eyes of Manchester United greats themselves. From the dizzy heights of the Sir Alex Ferguson Stand, to the atmosphere soaked players’ dressing room, every moment will seem to carry the roar of 76,000 fans in your ears - none more so than the ultimate honour of emerging from the players tunnel and following in the footsteps of so many legendary reds. The 70 minute (approx.) tours run 7 days a week from 09:40 to 16:30 except on match days where restrictions will be in place. 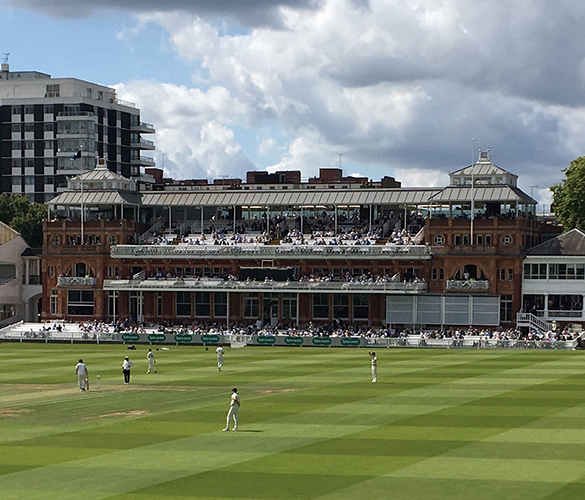 Tours of Lord's give visitors the opportunity to go behind the scenes at the Home of Cricket and explore some of the most famous sights in sport.